These wooden spools are all original and unique. 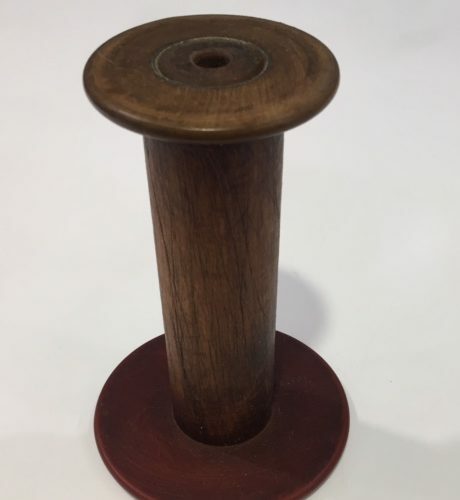 Pulled from textile warehouses and manufactures as they shut their doors, the weathered appearance of these spools is a testament to their history. Perfect for mounting stumpwork on, as seen on the cover of issue 87 of Inspirations magazine, or using as is to store thread. 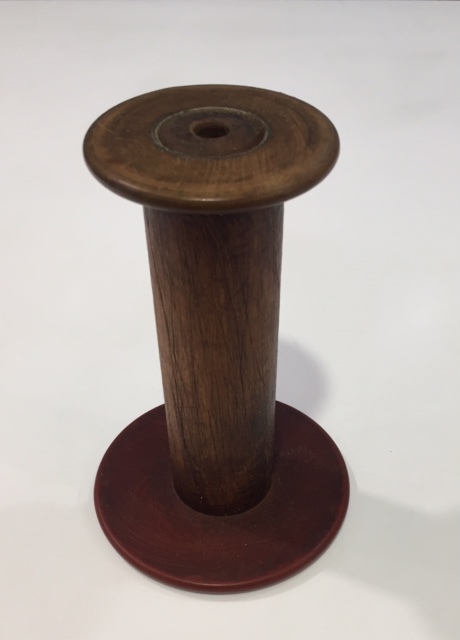 Spool measures approximately 17cm high.